On a pleasant trip to Texas last weekend, we went to Fort Worth to see the Kimbell Museum. I had seen the place before, but not since the 2013 opening of its second building. The museum is named for Kay and Velma Kimbell, who made their money in granaries and grocery stores and also collected art by the European masters. They left the art and a considerable fortune to the Kimball Foundation, and the museum opened in 1972. For many years, the foundation was most famous for its building, a late work by Louis I. Kahn, the famed modernist. It is made of modern materials, cement and travertine limestone, and its chambers nod to the classics with rounded top pieces. Here is a traditional southern view. 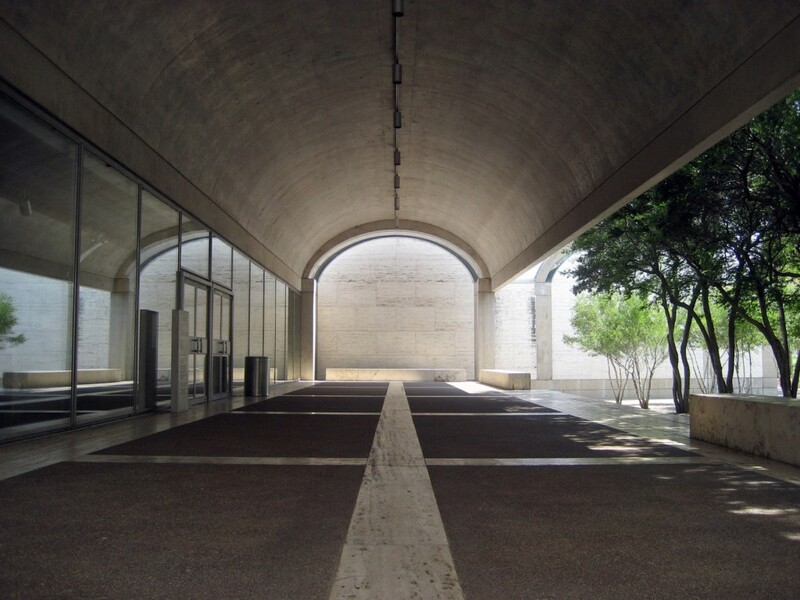 The first time I visited the Kimbell, its entrance was on its west side and seemed almost obscured. To get inside, you walked through a gravel courtyard with a stand of shapely trees, a Kahn specification that was, in fact, modest and rather charming. In addition, Kahn set other groups of trees and reflecting pools around the site, a nice human touch in the sere Texas landscape. Here is the original entry. Four years ago, the museum added a second building (below) designed by Renzo Piano to accommodate more of the foundation’s growing collection. This building is more square and more concrete than the original Kimbell, but they work together. The new entry looks out on the street and the museum parking lot, and it is decorated with a great big Joan Miró statue. The effect is less inviting to the eye but more functional. 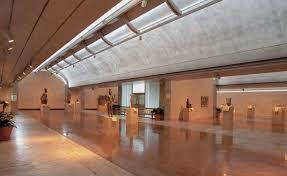 Over the years, the most remarked aspect of the Kimbell’s architecture has been its natural lighting. There are all kinds of unseen tricks engineered into the walls and roofs to bring in filtered sunlight that is subtle and comfortable. The interior lighting is the thing I remember most from my first Kimbell visit, and it is true of the Piano Pavilion as well. 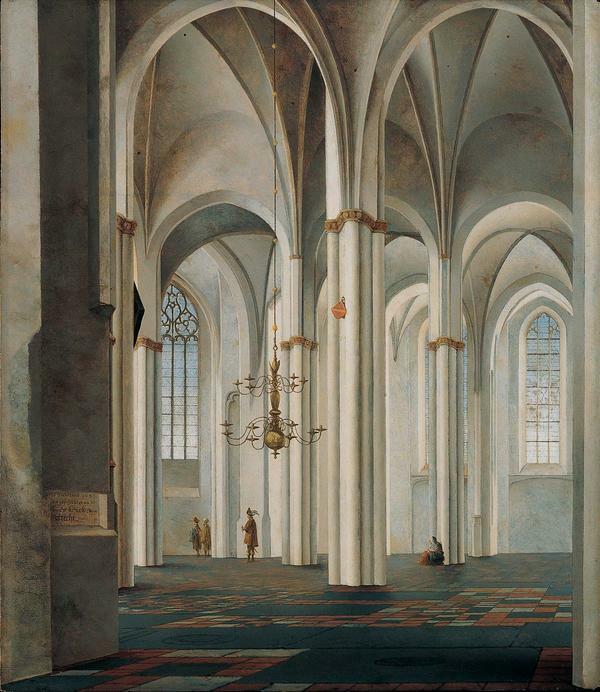 This is a 17th century painting by Dutch artist Pieter Saenredam. It surely is no coincidence that such a work, distinguished by subtle and indirect lighting, was chosen for display in the beautifully lit Kimbell. In fact, the Kimbell’s team has been recognized from the beginning for aesthetic strength — first for selecting the right architect and then for its careful curation of additions to the original collection. In the years since the Kimbell opened, another foundation, that of J. Paul Getty, has been the bigfoot of the classical art world. 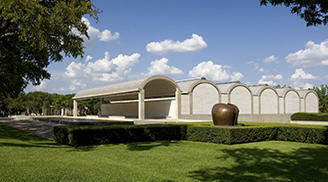 While the Kimbell has a fine endowment of about $400 million, the Getty’s is much greater, more than $6 billion. Notably in this instance, the Getty has TWO Saenredam oils and several drawings. 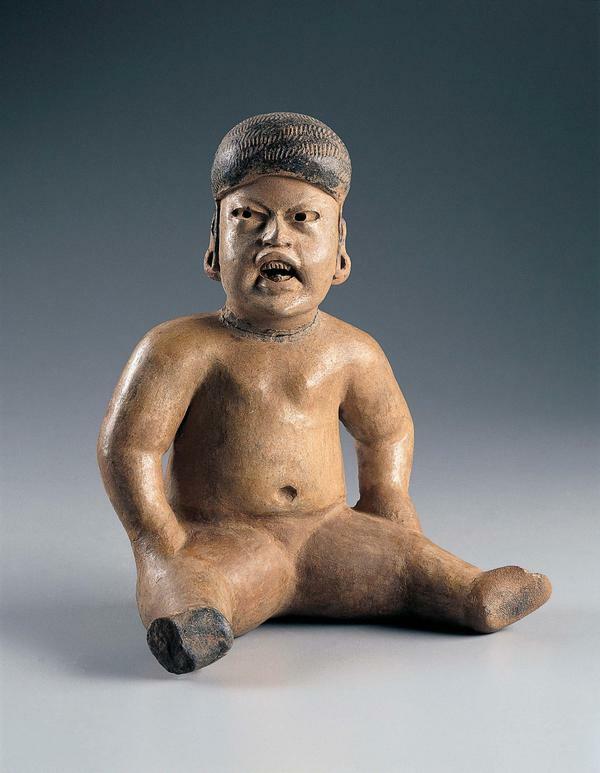 The Kimbell Museum now defines its mandate as art created before the year 1950 and includes ancient and tribal works from Central America, Asia and Africa. None of the collections is huge, but each is interesting on its own and as part of the overall institution. Here from one gallery are two statues separated by time but effectively quite similar. 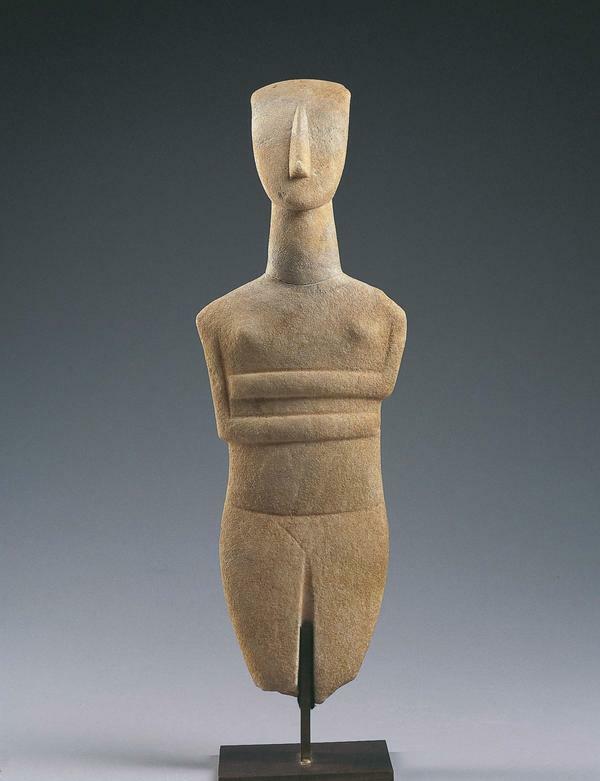 First is an Early Bronze Age female statuette from Greece, made thousands of years ago and acquired by the Kimbell in 1970. 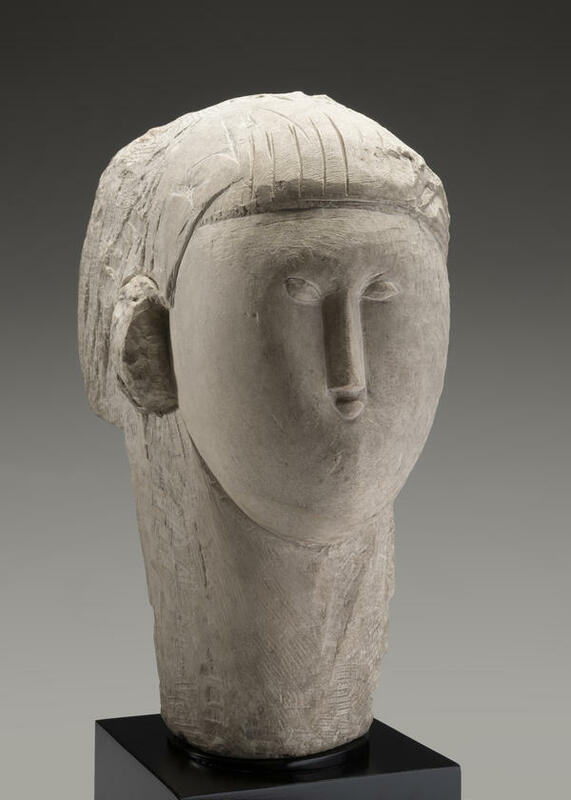 Nearby we find a rare Amedeo Modigliani work, “Head,” sculpted in 2013 and donated to the Kimbell earlier this year. Do you think these works speak to each other? I sure do. Below is “On the Pont de l’Europe” by French Impressionist Gustave Caillebotte, whose work has been recognized only recently. 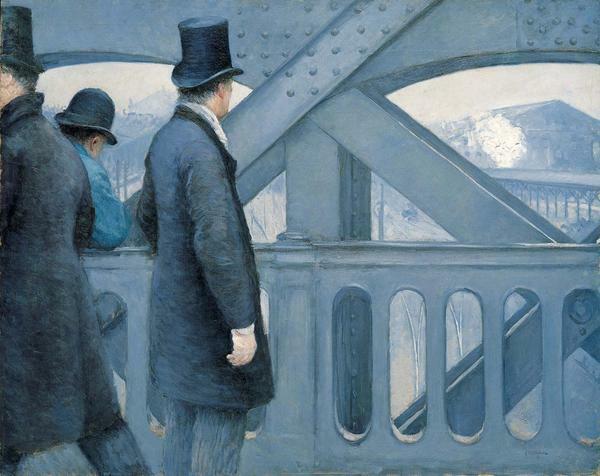 The painting is harmonious in color — blue — but it also suggests tension between its human subjects, three men whose expressions are hidden and the prominent industrial beams of a 19th century railroad bridge. The gallery representing Central American art has a number of works in clay and wood and gold, but two struck me. 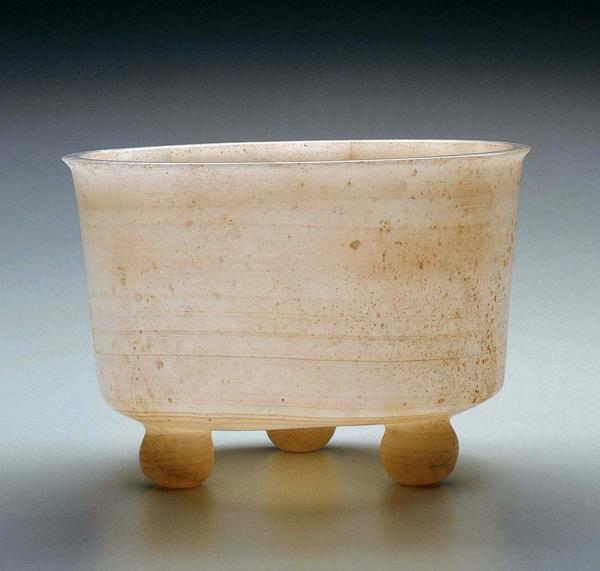 Across the gallery is this Tripod Vessel, a 1,000-year-old piece fashioned by a Mayan craftsman from a single piece of limestone. Its walls are thin and translucent, and it rests on three round feet. The shape would be recognized as classic in any culture. Very unusual. 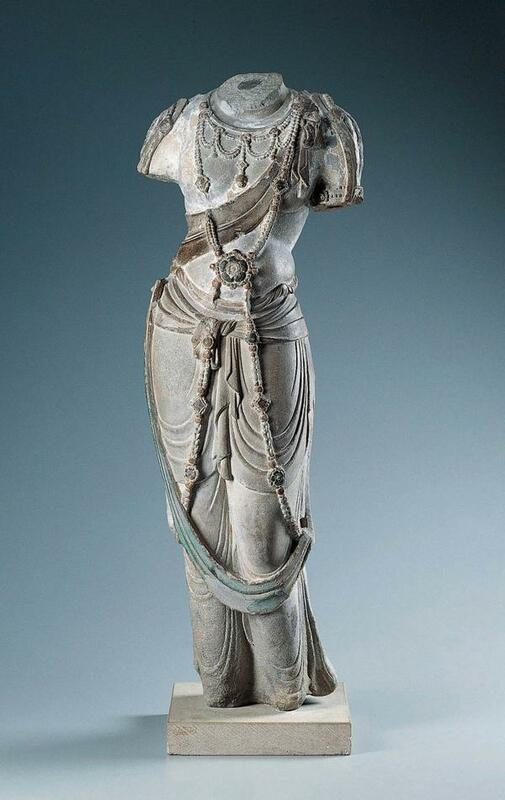 Here from from the Asian gallery in the Piano Pavilion is a Bodhisattva Torso, a Buddhist work from the Tang dynasty (618-907) in China. You can’t get the full three-dimensional look from this image (made available, like the others, by the Kimbell), but the statue’s rendering of bodily flesh is almost voluptuous, unusual I believe for its era, and quite moving. The Kimbell Museum is not large, but the pieces discussed here form only a small part of the collection, which is interesting throughout. What struck me were the common themes in pieces from many cultures and time periods. It suggests that fine art really does speak to us on a basic human level.